WARRENTON, GA - Mr. James Ronald (Ronnie) Thomaston age 70, beloved husband of 50 years to Mrs. Mary J. Thomaston of Academy Street died Friday evening August 10, 2018 at his residence. Memorial funeral services will be held at 11:00 A.M. Saturday morning, August 18, 2018 at the First Baptist Church of Warrenton with Dr. Brandon Furr officiating. Mr. Thomaston a native of Hogansville, GA was the son of the late Helen Hawk Thomaston and James Leon Thomaston. 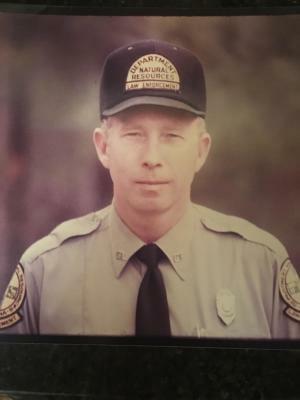 A Warren County resident for 40 years Mr. Thomaston was retired from the Georgia Department of Natural Resources. In addition, Mr. Ronnie served his country in the U.S. Air Force. Mr. Thomaston was a member and former deacon at the First Baptist Church of Warrenton. Additional survivors include his sons, Robert Cale Thomaston, and Kevin Lee Thomaston; one sister, Joyce Thomaston Dozier; 7 grandchildren and 1 great grandchild. Mr. Thomaston was preceded in death by a brother Leon Thomaston. The family will receive friends immediately following the service in the church sanctuary. In lieu of flowers, the family request that memorials be made to the Men’s brotherhood at the First Baptist Church of Warrenton C/O Mr. Pete Bales 206 S. Norwood Street Warrenton, GA 30828.